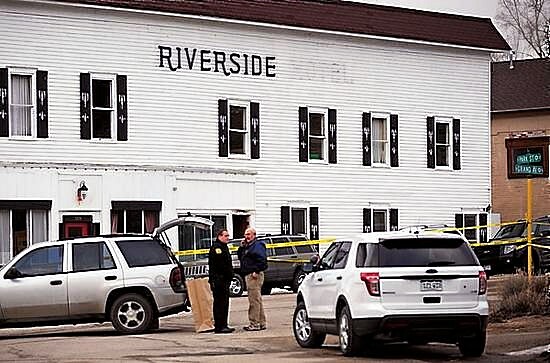 Investigators pore over evidence at the Riverside Hotel in Hot Sulphur Springs on Tuesday morning. A Grand County sheriff's deputy shot and killed a man outside the hotel late Monday night. HOT SULPHUR SPRINGS — A Grand County sheriff’s deputy shot and killed a man near the front door outside of the Riverside Hotel at 509 Grand Avenue in Hot Sulphur Springs Monday night around 11:50 p.m.